Yup, Diablo 3 has drawn everyone back to the couch. There's nothing better than a sofa full of friends, a bowl full of snacks, and a screen full of loot. Nick Puleo (@NickPuleo) - "Hoping to actually connect to someone in Takedown: Red Sabre and experimenting with a few other gems buried in my Steam library. Perhaps some Diablo 3 on the couch?" Mike Katsufrakis (@Pheriannath) - "I've got a lot going on this weekend, but I'll hopefully get some more GTA V time in. " 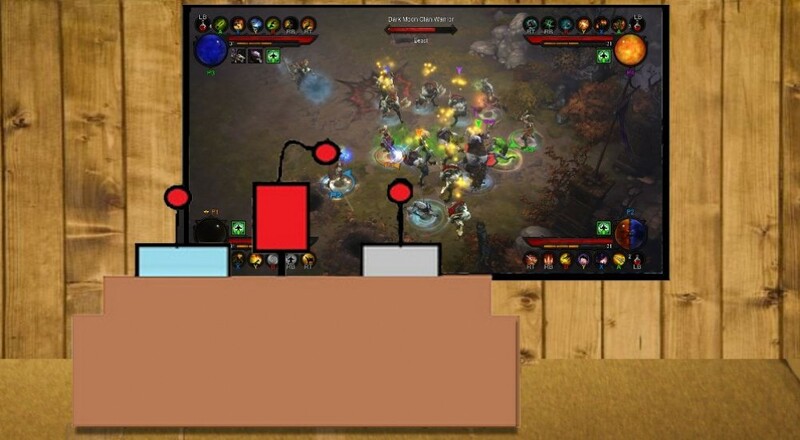 Marc Allie (@DjinniMan) - "Sweet, sweet Diablo 3 from the comfort of my recliner, and on the big screen!" Jason Love (@JLove55) - "Running in my first 5k tomorrow morning, so hopefully I survive that! Likely will play some more Borderlands 2 on the PS3 and maybe even more of the Risk of Rain beta. Maybe Payday 2? Anyone feel like heisting?" Eric Murphy (@smurph_em)- "I'll be diving into Diablo 3 assuming it arrives today (Amazon, don't fail me). If not, there's always Monaco or Halo 4." Locke Vincent (@LockeVincent) -"Tons of editing to do, but would love to put a bow on The Last of Us and play a big boy shooter like Takedown: Red Sabre." Tally Callahan - "Not entirely sure what I'll be playing this weekend. Probably some Pathfinder ACG and Diablo 3 on PS3." Sam Tyler (@thereelsamtyler) - "Time to finish off the last few missions in Lost Planet 3, then hopefully some slightly disturbing 2 player sniper action in Sniper Elite 2." Chris Metz (@The_Lemko) - "Looking to grab some new goodies before the physical copy Wind Waker HD arrives next week, like Metal Gear Rising and Kid Icarus: Uprising." John Bardinelli (@itsamejohn) - "I'm newly Wii U enabled and will be spending an enormous amount of time with co-op Monster Hunter." Justin Reynolds (@justinsocial) - "Started Max Payne 3 this week and it has been the most fun I've had with a video game in a long while. Playing that and only that. " Taylor Killian - "I'm gonna punch some super powered fools straight into orbit in Injustice."